Code of Conduct for Nanotechnologies. 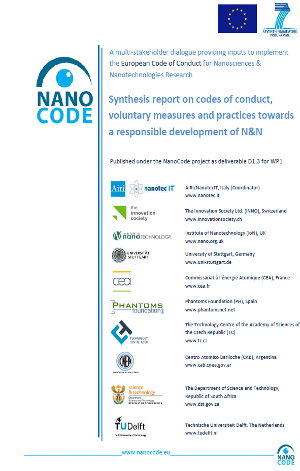 Synthesis report on Code of Conducts, voluntary measures and practices toward a responsible development of N&N, Airi et al, Set. 2010.